When I was 21, my only thinking was to find a decent job, work, go home and survive. It was a tough times for me specially that I do not really have an idea of what I wanted to achieve and what would happen to me in the future. 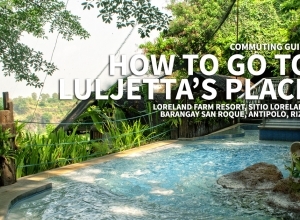 I went from one job to another, finding where could I really fit in and would give me best of both worlds: earn and enjoy. It took me years of jumping from one place to the next till I finally settled in. It was a long process with lots of difficulties in between but still I am thankful to God for letting me arrived at the right moment and time of my life. This wasn’t the scenario to this very young lady I met a few days ago. At the age of 21, Nadine Ibay already achieved and cross out some of her goals in life; one is to showcase her very own painting creations and second is to own an art gallery as well. 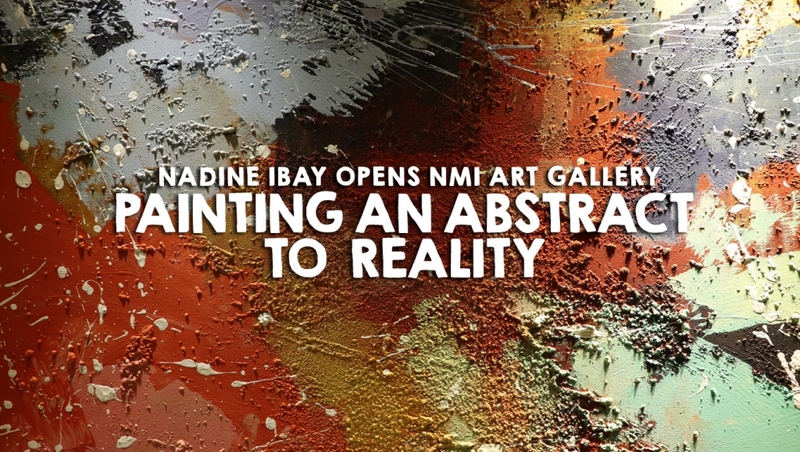 Continue reading and will tell you more about this young abstract expressionist Nadine Ibay. Abstract painter Nadine Ibay grew up in Marikina and is currently living at her studio in Antipolo, Rizal. Having discovered her talent from a young age, she has been continuously developing her abilities in order to further share her art to people from all walks of life – – fully dedicating all of her hours as a lifetime servant of the art. I was able to meet her when NMI Art Gallery was launch last December 13, 2018. Chatting with her and talking about her inspirations in creating those paintings hanged in the wall makes me say that this shy and petite young lady could really express her ideas wholeheartedly specially when talking about art. I also learned that at a very young age, her family has seen her talent already and decided to bank on it, hone it, so she can someday enjoy this passion for her own self-expression. Nadine Ibay’s ideas are often captured on a canvass through paint, with a splash of color that adds flavor and inspiration to an white space. With an admirations to the forms of arts of Gustav Klimt and Banksy, Nadine strives to develop her own style of art born from her own principles as inspired by the great masters before her. With her second solo exhibit entitled “Intuition of Colors“, Nadine showcases her abstract prowess through the combination of different materials such as acrylic paints, spray paints, mineral pigments, gold leafs and textured canvasses that brought to life a variety of art that is only given meaning by the eyes that appreciate it. As she explains it, her very own paintings are more than a splash of colors, they are the personification of emotion. Nadine Ibay still got a lot of goals to cross out in her life but starting it on an early stage makes her already stand out above the rest. Her abstract has already been painted into a reality. You can check out her second solo exhibit “Intuition of Colors” at NMI Art Gallery located at Town & Country Executive Village, Dao, Antipolo, Rizal 1800. Until our next discovery in the City! Stay in contact subscribe to my blog.